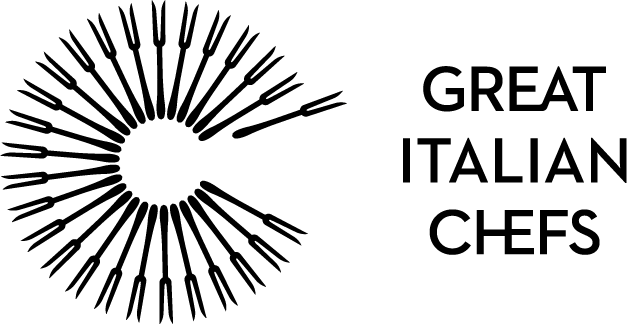 Tom Riby attends the first annual gathering of chefs in Italy to discuss ethics, cooking and the future of food. 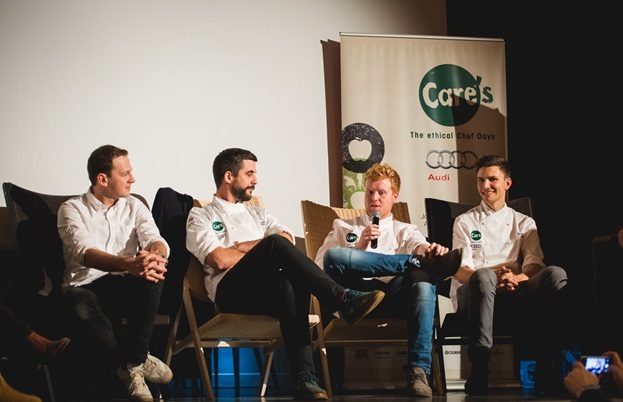 This year was the birth of CARE’s – an extraordinary event where top chefs from around the world gather to share ideas about ethical cooking, respect for mother nature, the seasons, the environment and the future of ingredients. 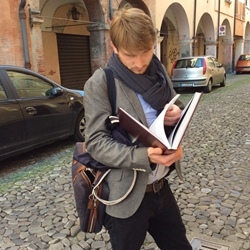 It was founded by one of Italy’s most renowned chefs, Norbert Niederkofler from St. Hubertus, and Paolo Ferretti – owner of HIC Communications in Bolzano. 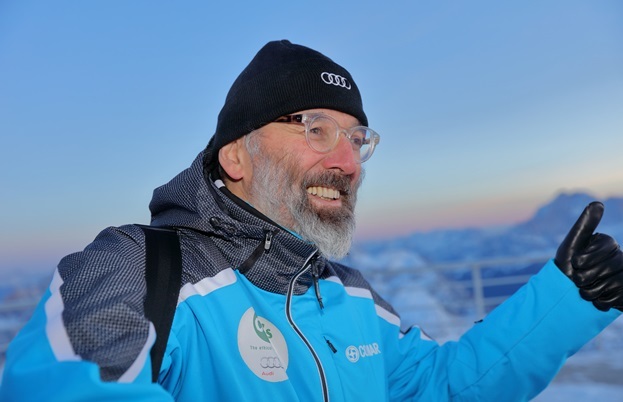 Set over four days in January in the picturesque ski town of Alta Badia in Süd Tirol, the event was hosted right in the heart of the Dolomite mountains. 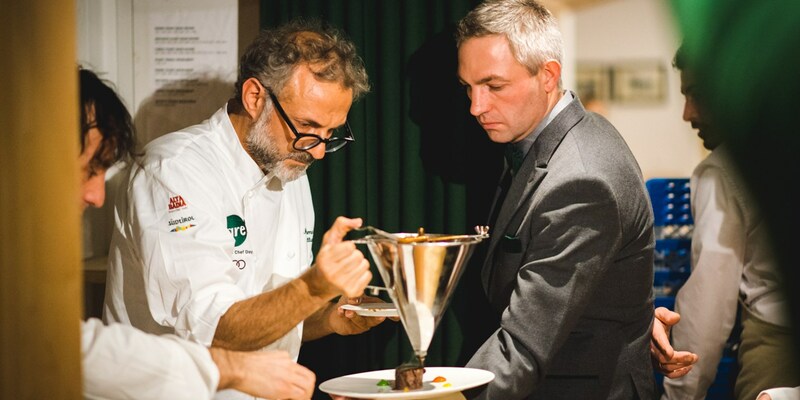 CARE's was an impressive platform to create the right conversations in the culinary world, as Norbert and Paolo were joined by an incredible line up of chefs including Massimo Bottura, Pino Cuttaia, Giancarlo Morelli, Sasu Laukkonen, Filippo La Mantia, Luca Fantin, Diego Crosara and many more. Each day brought with it a different experience and perspective. As well as hosting top chefs, CARE’s paid a special tribute to young and emerging talent, including competitions such as Ferrari Trento’s Young Sommelier of the Year (won by Sara Repetto) and San Pellegrino’s Young Chef of the Year (won by Paolo Griffa). After his win, Paolo was invited to host a Lavazza sponsored workshop with journalists at Castel Holz, cooking three dishes close to his philosophies and ideas when it comes to sourcing his ingredients. During the four days, chef talks took place where we heard questions about the future of restaurants, dealing with waste and how each chef sources his or her ingredients and makes an effort to be ethical. The answers differed from country to country, and Europe’s rich resources proved to be the perfect platform to pioneer the ethical future of the kitchen. Michel Bra’s wisdom concluded with a focus on young talent and encouraged chefs to look at the way they teach and work with new additions to their kitchens. Future generations became an important factor during the event. Everybody attending CARE’s took part in workshops, tastings and smaller events in which all participants learnt the basics of how to to appreciate good food. These lessons came from not only the chefs but also fishermen and farmers who make the first steps to ensure food arrives on our tables. Having the opportunity to be a part of CARE’s to watch all the hustle and bustle of the kitchen, talk to chefs about the topics that matter and be amongst friends in the business was an experience I’ll never forget. Together, the attendees could see an opportunity to take action and look at what we can do to be ethical in the culinary world.